The Paper mill, or Old Mill, sits on the Langcliffe/Stainforth parish boundary. It originated as a corn mill, but became a paper mill until recently when it was bought for stone processing. 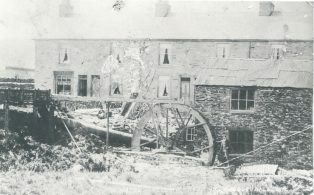 The Langcliffe Shed Mill was set up in 1780 for cotton weaving, now Watershed Mill commercial premises.